Use this certificate to commemorate a vow renewal or simple commitment ceremony. Printed on high quality paper and bearing the seal of the ULC Ministries. The commitment ceremony is a way for a couple to re-affirm, or affirm for the first time, their love for each other. This ceremony is a non-legal ceremony that is preferred by those that do not want the legal aspects of marriage involved. 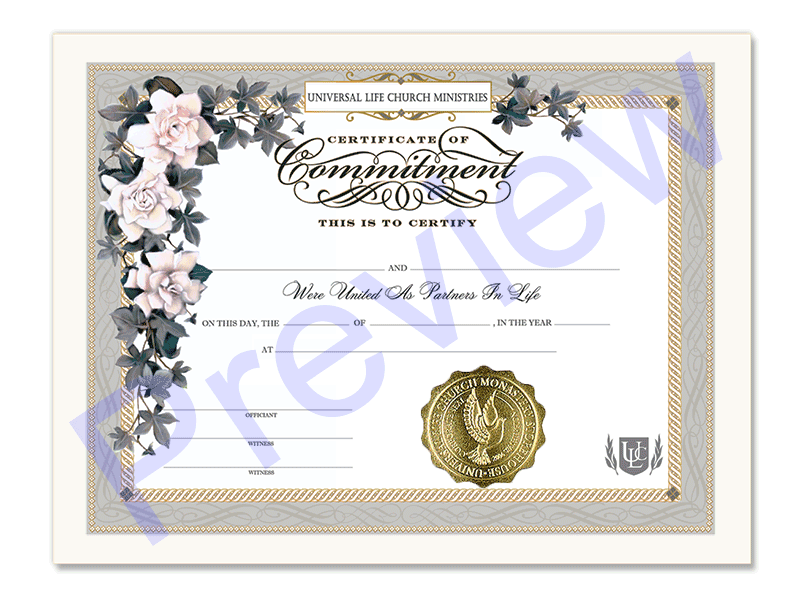 This beautifully bordered Certificate of Commitment can be used by the ULC minister to record and commemorate the day for the couple.